Anyway, I now have Makuta's (Gen II) Mask of Control spinning underneath my name. Yayz? Also, its fun to host a mafia game for once and see everybody's poor decisions being made. Hope people are enjoying it so far. Say what you want about the movie, the sets have been pretty epic, and this one had me drooling from the get go. I won't be able to build it straight away (have a few things to clear out first) but it's going to get built sooooon. It was either get this set or collect all the other Ninja sets from the theme... so I chose this. It's only about half a month's rent, plus the largest Lego set I've ever purchased. ... and yes, I know it's probably the priciest way to get civilian Kai, but I have to complete my collection somehow. People will spontaneously start getting super powers. I'd like super speed, but I'd be cool with shape shifting too. So if you're planning to do anything really dramatic on Monday, make sure to time it with the eclipse so you'll have a really great backstory explanation for your developed mutations. In other news, I was gonna mail out some prizes the other day... then the region I live in got hit with the worst snow storm in 30 years. Sooooo... yeah, maybe later. Well, so I really just kinda stopped blogging this summer. I mean, I've totally been lurking on BZPower this whole time (and played in the occasional mafia game) but I haven't really posted all that much. Primarily I've been crazy busy with work this year (between having my weekend position move from 3 people to 1 person with an increase in actual work, and having almost all our workflows change. Like seriously! ). But I've been busy with other things, like getting up to level 14 in Ingress (and level 28 in Pokémon Go, which is pretty much the same game but with a different skin.) Anyway, some things that I wanted to blog about for these last six months... but just didn't until now. BrickFair VA 2016: I returned to the DC area this year for my third BrickFair, and had a blast. Got to hang out with some old friends, meet some new ones, and drive Chocolate Frogs crazy the first day when trying to play Ingress in downtown DC. 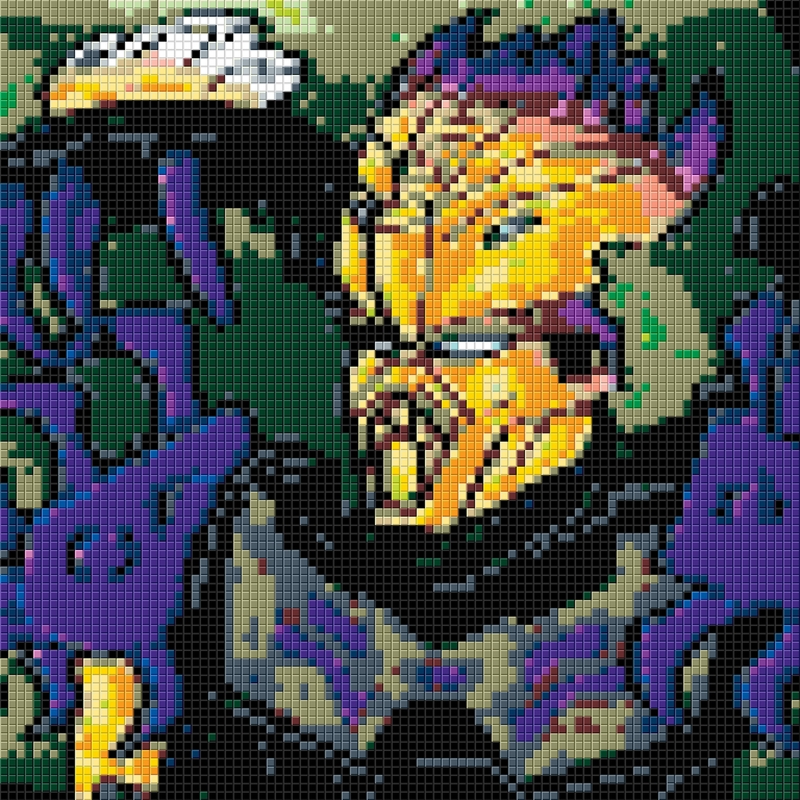 Convention was great, and I think I had 9 mosaics on display. (Not all exclusively mine. 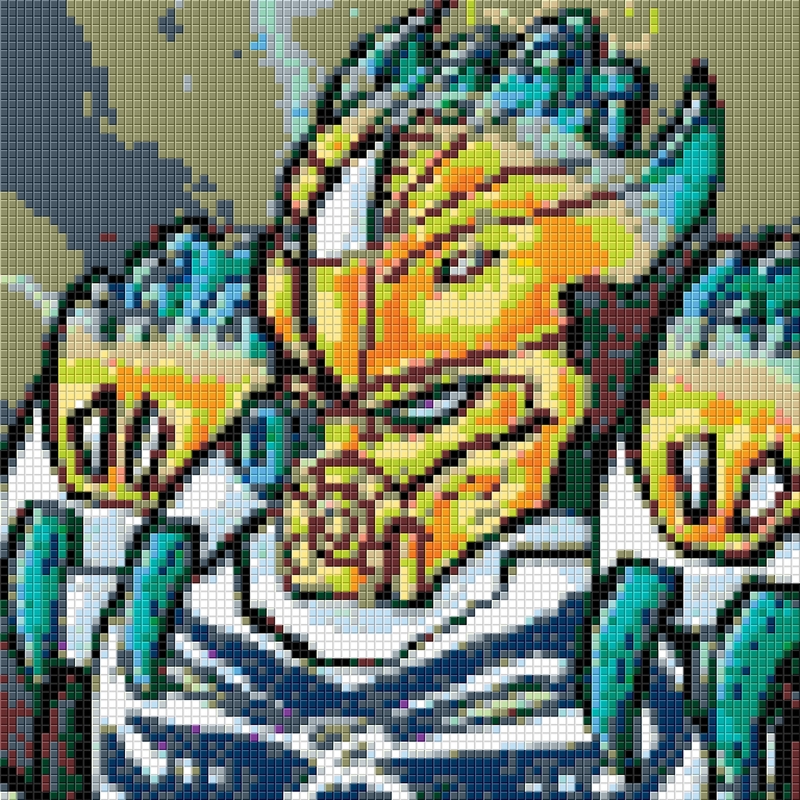 The Onua collaboration was a success, and then there were the four lenticular Toa mosaics which I designed and got to help build too. Really pleased with how those came out.) Anyway, it was fun and I'd like to do it again, but I haven't made plans that far out yet. Of course, with two big trips in a row, I couldn't afford to make it to BrickCon this year. First one I've missed since I started attending. NaNoWriMo: In November, I participated in the writing event, and got 70K+ on my story. (And it's still in progress.) It was actually about volcanologists traveling to different volcanoes around the world... but to spice it up, I threw in some gods that were trying to make the volcanoes erupt, and the Hawaiian volcano goddess Pele is trying to stop them. As such, I was researching a lot of Hawaiian mythology, and so I found the movie Moana to be all the more interesting. Speaking of movies, Dr. Strange was also decent, and Fantastic Beasts, while a meh story, had stunning effects, and is one of the few movies I'd ever recommend seeing in 3D. I also had a lot of Lego sets that I wanted to review... but just didn't have the energy to make it happen for most. I've prepared a few write ups on the sets I've bought this year, so maybe I'll get around to actually posting them. In short, I think Ninjago totally delivered this year; the Pirate storyline was one of my favorites, and some of the set designs have been stellar, including the Skybound Ninja figs. Elves also had a decent selection of sets, and I had to go out of my way to collect all the dragons. that said, my favorite Elves set was definitely the evil castle. I might go as far to say it was the best set of the year that I bought, but some of the Ninjago models, like the small airship or the Tiger Widow Island, are also stellar. I also got into Lego Dimensions this last month, when stuff started going on ridicules sales for the holiday. (One of those sales was for a PS4, my first real gaming system.) The Portal, Dr. Who, and Fantastic Beasts level packs turned out to be quite fun, and I liked being able to play as the Ninja characters for once. Nya is one of my favorites for sure, but I also like flying around as Super Girl. I was hesitant to get Cragger, but it turns out he's the best swimmer, so not a bad purchase. Of course, this is turning into a huge money drain, but I think I can get by without having to purchase any more characters for abilities for a while now. 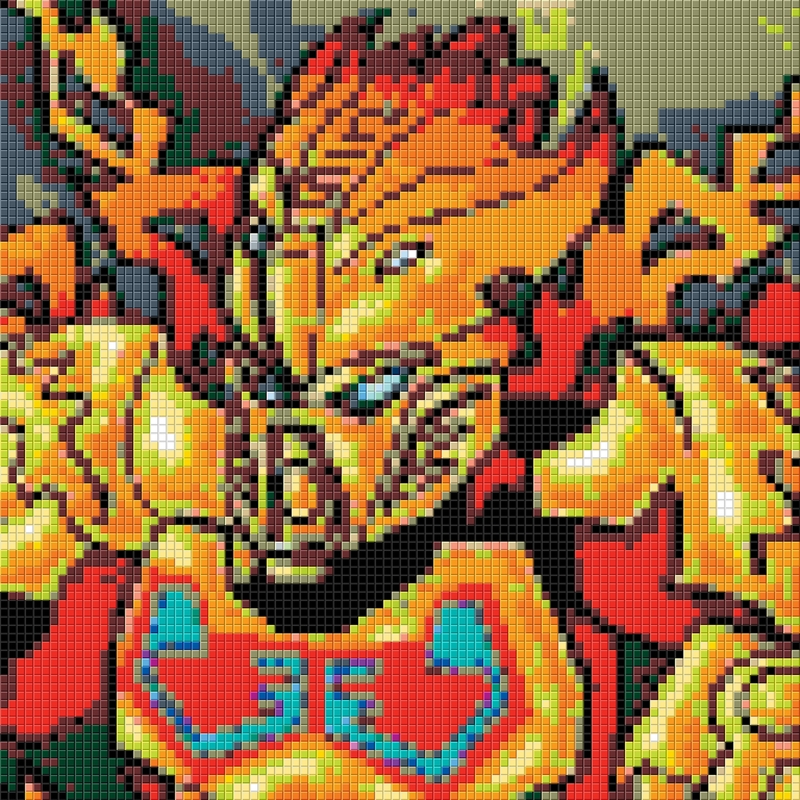 Now my main personal projects involve preparing for BrickCascade in Portland, OR this March. I'm the coordinator for Pop Culture... but that's such a wide spectrum that I'm starting to draw a blank on just how I should design the trophies. (I know what I consider pop culture, but don't have an idea of what people are going to build for it yet. Maybe my trophies should all be Dr. Who based?) The collaborative theme I'm putting together is Dimensions, with one of the ideas being that people can create vehicles like from the game and put them on a raceway. Well, I'm currently designing that raceway, making different scenery sections based on various Lego City subthemes (Arctic, volcano, underwater, ext) so hopefully it'll be interesting enough for folks. Hopefully I can get some pictures up soonish. Anyway, thanks for reading another dusty blog entry. Happy New Year. (Although if you think 2017 will be better, then I think you're delusionally optimistic. All your favorite actors and actresses are only getting older, and the Grim Reaper needs to finalize his collections.) [/dark humor] Although some neat Lego sets coming out next year, so there's always a bright side. So I guess I've been fairly inactive. I can blame a bunch of it on work, but also that some of my free time has been going elsewhere, specifically into this game called Ingress. Anyway, it's been a fun game, although some of the players can be fairly weird and overly dedicated to this. (And a few who are kind of rude... I guess you get that in every fan base.) But yeah, that's what I've been putting my free time into. Gives me incentive to travel to new cities for Lego conventions, just to get more unique hacks. Yay, Internet at new place after going without for a month. I AM CONNECTED! But yeah, I have all sorts of things to update. Finished NaNo this year despite a late start. Went to BrickUniverse Dallas and took pictures. Got super stressed at work and it's only getting worse... yeah. But what about all the projects that were left in limbo that you were supposed to be working on? Forget about that now, I have a bunch of shows to binge watch that I missed last month! Anyway, I started that Hero Factory / Human world crossover story on my flight out. Going to enter it into NaNoWriMo now. I'll see how I do, since I'm clearly busy this month and only have vague ideas on the lot for it, but it'll give me something to do. *Well except on my phone or at work, but I tend to just browse during those times instead of posting content.